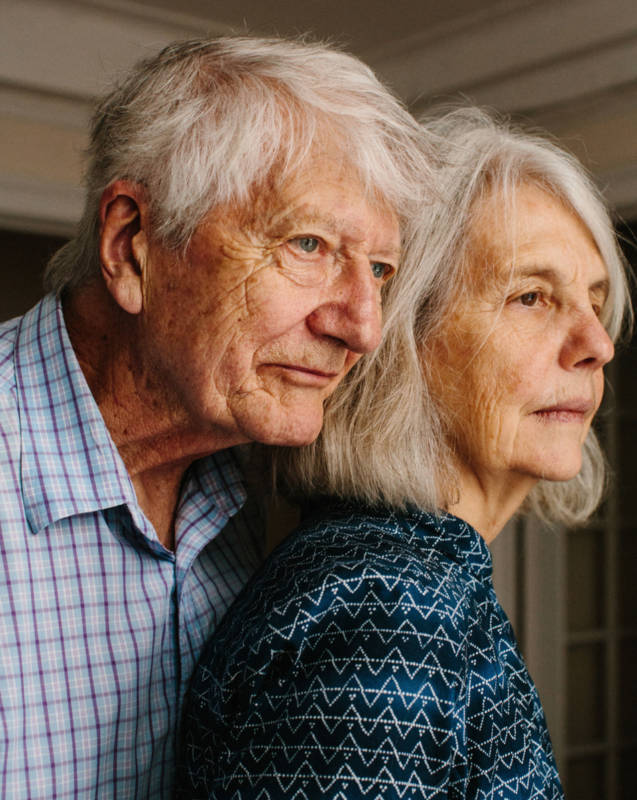 Portrait of Peter and Sally Saul by Stephanie Nortiz for Artsy. Sally Saul, Blue Lady, 2018. Courtesy the artist and Rachel Uffner Gallery. 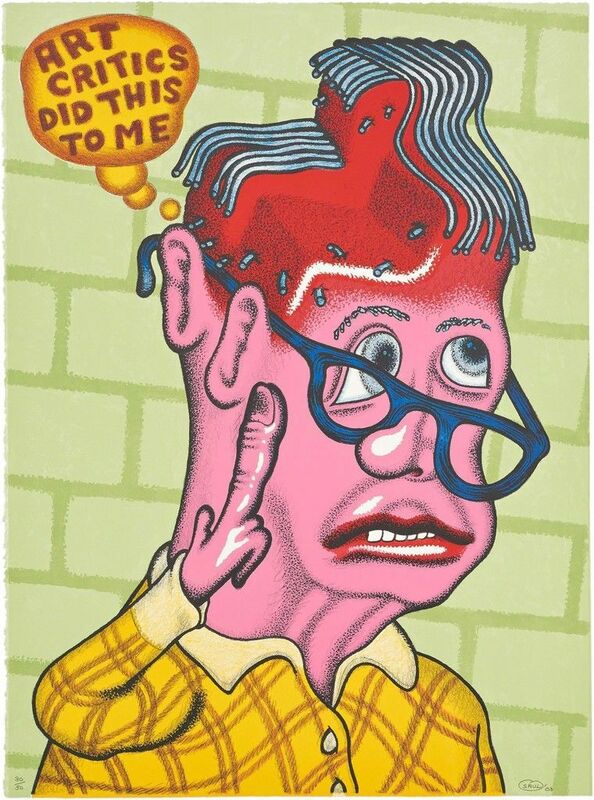 Peter Saul, Self Portrait with Haircut, 2003. Pace Prints. Portrait of Peter Saul by Stephanie Nortiz for Artsy. Portrait of Sally Saul by Stephanie Nortiz for Artsy. Peter Saul, "Louis XIV Feeds His Pets," 2015. Copyright Peter Saul. Courtesy of Mary Boone Gallery, New York. Sally Saul, Peter, 2007. Courtesy of the artist and Rachel Uffner Gallery. Peter Saul, "Global Warming, the Last Beer," 2017. Copyright Peter Saul. Courtesy of Mary Boone Gallery, New York. Peter Saul, "Vietnam," 1966. Copyright Peter Saul. Courtesy of Mary Boone Gallery, New York. Sally Saul, Lady with Rose, 2018. Courtesy the artist and Rachel Uffner Gallery. Sally Saul, Untitled, 2017. Courtesy of the attist and Rachel Uffner Gallery. 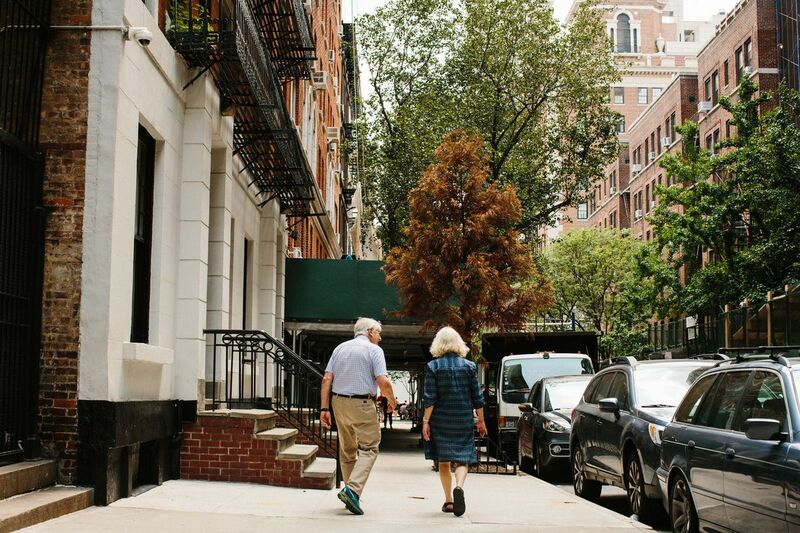 Portrait of Peter and Sally Saul walking on the Upper East Side by Stephanie Nortiz for Artsy. In Sally Saul's Together (2017), two happy polar bears stand side by side, holding hands. They look content (if a little befuddled), ready to face whatever the future might bring. Salvador Dalí urinating champagne into the ear of George W. Bush (only his bright teal sneakers hint at such a streak of eccentric wildness). Sally is likewise low-key, a calming presence, whether she’s discussing the daily anxiety of Trump’s America or her recent efforts to humanely trap gophers up in Germantown. Spending an hour in their company makes it clear that—over the course of 43 years of marriage—they’ve settled into an admirably comfortable, supportive dynamic together. The Sauls, admittedly, are lucky. And any relationship—between artists or others—survives on a complex recipe of luck, compatibility, compromise, and trust. So what can we learn from Peter and Sally’s four decades of creative matrimony? When Peter and Sally met in 1973, neither would have imagined the panoply of relationship apps that love-hungry artists take for granted today. They met in a slightly more nerve-wracking way: via the telephone, having yet to see each other in person. Peter, 39, had been teaching at the Oakland School of Arts and Crafts (now the California College of the Arts). Someone Sally knew was one of his students; she had slipped Peter her friend’s phone number, thinking they might be a good match. “I was kind of queasy about this, but he did phone, actually,” recalled Sally, who was 27 at the time. “Yup, I got my nerve up…” Peter added. At this point in time, in 1973, Peter was already an established artist. (That year he would paint The Crucifixion of Angela Davis, a visceral and surreal portrait of the radical activist.) Sally was working as a secretary; she wouldn’t start actively making art until the 1980s. “Peter was very funny, and very lively. Easy to talk to,” she said. Artists are driven and competitive; after all, there isn’t an infinite amount of fame to go around. If we imagine two recent MFA grads settling down for a life together, we might also imagine the stress (and possible bitterness) that might result: What if one partner’s career skyrocketed, while the other’s fizzled? Peter and Sally managed to sidestep this dilemma due to circumstance. When they married, in 1975, Sally had earned a master’s degree in American literature. She had yet to embark on a career as a ceramicist; it was Peter’s social circle in San Francisco, the hotbed of the Funk movement, that turned her onto the medium’s possibilities. Robert Arneson and his wife, Sandra Shannonhouse, as well as David Gilhooly. “I just had never seen art like that.”Peter, meanwhile, was showing with Allan Frumkin Gallery in New York (his debut solo exhibition was at the gallery’s Chicago location back in 1961). 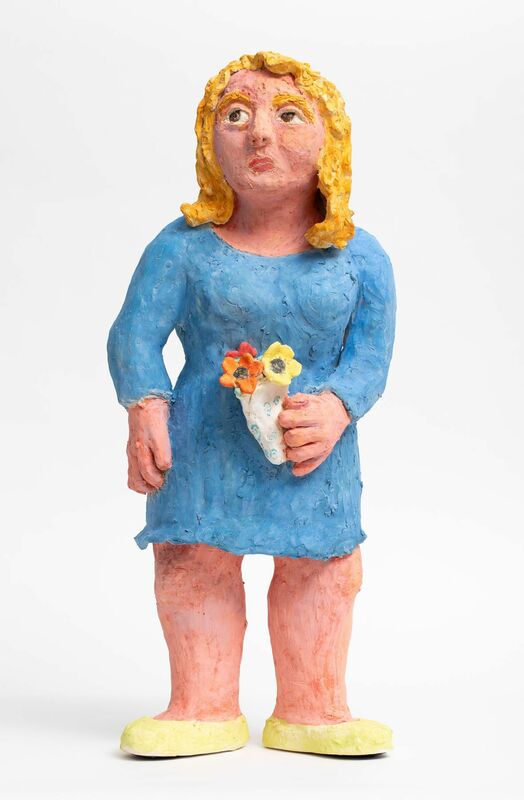 It wasn’t until the early 1980s, when the Sauls relocated to Austin, Texas, that Sally would start taking ceramics classes at the University of Texas and making her own work. Even then, she didn’t seem overly driven to make a name for herself or to exhibit widely. Gallerist Gwenolee Zürcher concurred. 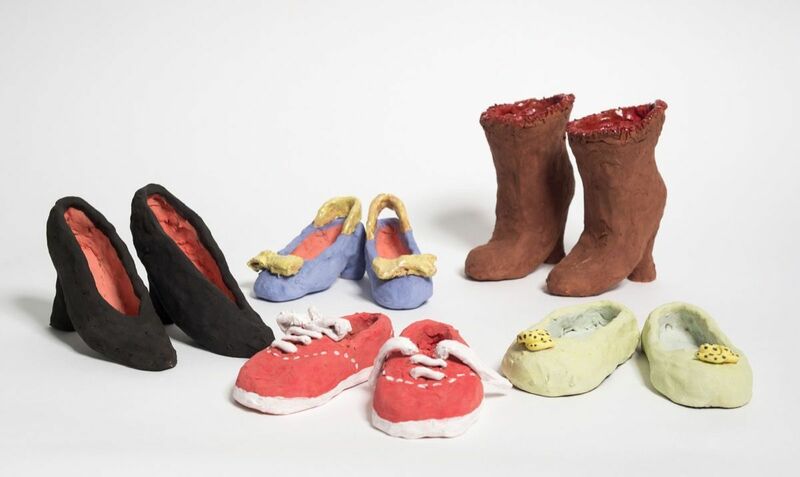 In 2014, Peter curated a massive group show at her New York space entitled “If You’re Accidentally Not Included, Don’t Worry About It.” He included some of Sally’s ceramics in the mix; it was one of the first times she showed her work in the city. Part of the joy of being in a couple is getting to experience the things you enjoy in common. But that can also lead to friction. The Sauls are fortunate to have a fairly simpatico affection for art that is grotesque, comic, absurd, and in-your-face; they co-curated a massive group show entitled “Out of Control,” on view at Venus in New York through August 10th, featuring a sprawling assortment of work by friends and peers like Erik Parker, Joe Bradley, Dana Schutz, and Arlene Shechet. And if they get tired of the English-language canon, the Sauls have a shared love for the (seemingly endless) “My Struggle” series, the autobiographical doorstops by Norwegian writer Karl Ove Knausgaard. These days, the Sauls are permanently based in Germantown, a two-hour drive from Manhattan. That’s enabled them to enjoy a lifestyle that would be fairly unfeasible in the city. Their daily routine—which involves a commute of mere meters between their house and studio—begins with breakfast on the porch and a shared newspaper. Living outside of the city provides peace and quiet, but it can also have its downsides. “I really like being able to come to the city, because otherwise, after a while, you kind of forget who you are upstate,” Sally said. If you share your life with someone, it stands to reason that you’ll also share your unfiltered, honest opinions. But how much should two artists in a relationship counsel each other about the work that they’re making? Sally, meanwhile, certainly feels comfortable venturing into Peter’s floor of the studio to offer her own critiques. But she counsels against making definitive statements; just because your partner’s latest work might not make sense to you now, it doesn’t mean that you should tell him or her to abandon an experimental effort. While their homebase in upstate New York might suit the Sauls’ current needs, Sally cherished the amenities for tots that a more urban setting provided. “Living in a place with plenty of resources for kids is a big help,” she said. “Austin turned out to be such a place—many parks, for example, with pools. We walked to our neighborhood park almost every day.” Other benefits included a small theater that put on magic acts and performances for kids; swim classes and the U.T. String Project at the University of Texas; art classes offered through the local museum; and a nature program through Parks and Recreation. “I feel as if I had a second childhood!” Sally said. In the end, a man who draws the Mona Lisa throwing up macaroni can find his creative soulmate in a woman prone to sculpting anxiously yearning humans or happy beavers with nine teats. But ultimately, a relationship is built on true connection, not just the fortunate sharing of eccentric tastes.